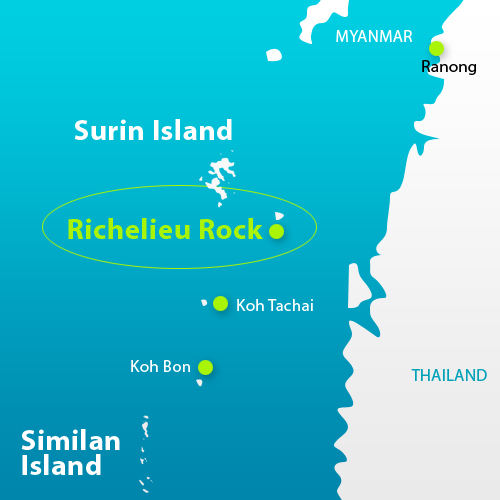 Diving in Thailand – Liveaboard trip to Richelieu rock. After spending almost 4 months in the Philippines, our next destination was the west coast of Thailand. In Malaysia we became friends with a dive instructor called Jan-Oliver Luhn (Janosh). He suggested that we should come to vistit him in Khao Lak when we arrived in Thailand. Sea Bees Palm Garden diveresort in Khao Lak. We decided to stay at the same center that Janosh worked. Just to make the logistics smoother. Sea bees Palm garden resort is located a bit from the beach in Khao lak. They have nice twin bungalows, and we managed to get everybody in one bungalow. There is also a good resturant and a bigg and deep pool that the kids loved. They spent more time on the bottom than on the surface. We decided to split up the diving. My wife went on SeaBees South trip. 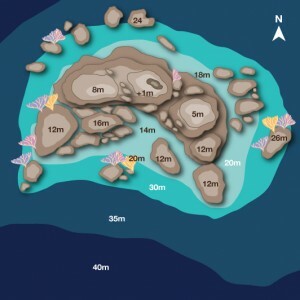 A two nights trip to and around the Similians island. And I was to go on the North trip. Witch is a bit longer jurney so it was a three nights trip to Richelieu Rock. So after a few days of touristing around in Khao lak, June (Wife) went on her trip. Me and the kids were “home” doing school stuff 😉 After three days she came back a happy diver. The trip was amazing she said. So two days later is was my turn. The boat is called MY Genesis. There is 5 twin cabins and 2 single cabins. I got a single :-). There is plenty of space for your dive equipment on the 16 sqm dive deck. The dive platform is located at waterlevel, ensuring a comfortable entry into the water. The tanks are filled after every dive from a silent compressor witch is located below deck. There is also plenty of eletrical power for people like me with a lot of cameras and lights. So charging is not a problem. the meals onboard are delicious and after diving there is a nice sundeck you can relax and enjoy the view. 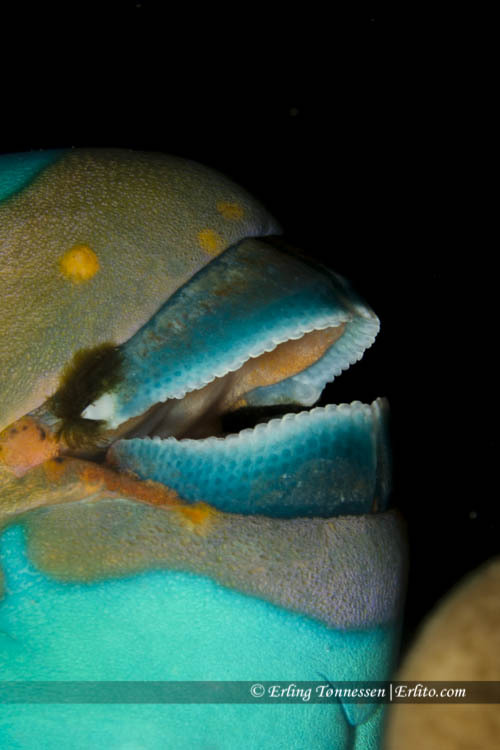 Marine Life: Whale sharks, Manta Rays, Chevron Barracuda , Tuna , Trevallies, Harlequin Shrimp, Pineapple Fish, Seahorses, Schooling Bannerfish, Moray Eels, Cube Boxfish and, and, and… the possibilities are immense! KOH BON – Koh Bon Island lies an hour or so north of the Similans Islands. 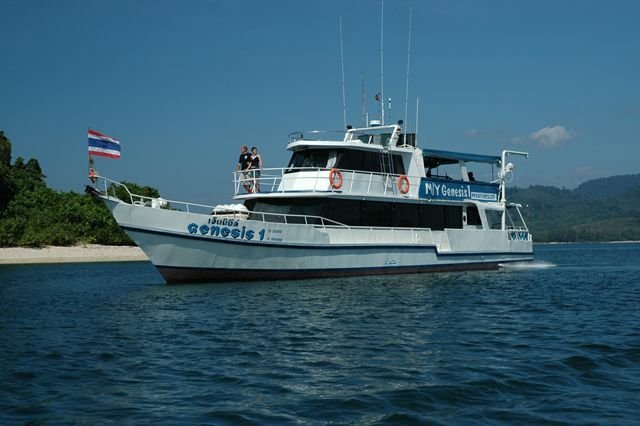 It’s consider as one of the best places in Thailand to see manta rays, We did not see any. but my wife saw one here two days before my trip. There’s a 33 metre wall on its south side, facing a small cove, with a stepped ridge pointing west and down to over 40 metres. It is at the edge of this ridge that divers are drawn, as they peer into the blue looking for that first sight of a black and white wing that signals an approaching manta ray. Keep a little distance from the rays and the chances are good that they’ll circle and swoop around, feeding on the plankton. If the manta feels threatened by rapid or aggressive movements it will just glide off into the distance and find somewhere else to feed. The divesite itself apart from mantas is not that impressive. When I was there it was filled with divers. So you had to keep a close eye on your buddy/group so you didnt end up in a different one at the end of the dive. The plan was also to dive here on our way back but the whole group wasnt very keen on this, so we picked the pinnacles in Koh Bon instead. The Pinnacles is located not far from the Koh Bon island. They start around 18-20m dept. It is a little bit more advanced dive since the current can be strong. The scenery was beautiful and looked more untouched. We were told that you could expect to see sharks and rays, but nothing big appeared on our dive. Nevertheless it was far better than our first encounter with Koh bon and all the divers. KOH TACHAI – Koh Tachai Island even further up north from the Similans Islands than Koh Bon. Koh Tachai, the Dome is simply beautiful! 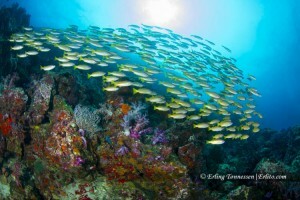 The marine life is teeming and the spot is famous for big fishes as well as for small creatures. Manta Rays are common visitors too and Whale sharks can be spotted sometimes too. 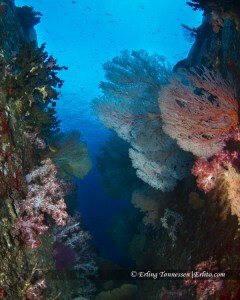 The site consists of a coral plateau starting at 12 m deep and goind down to 35 m deep. 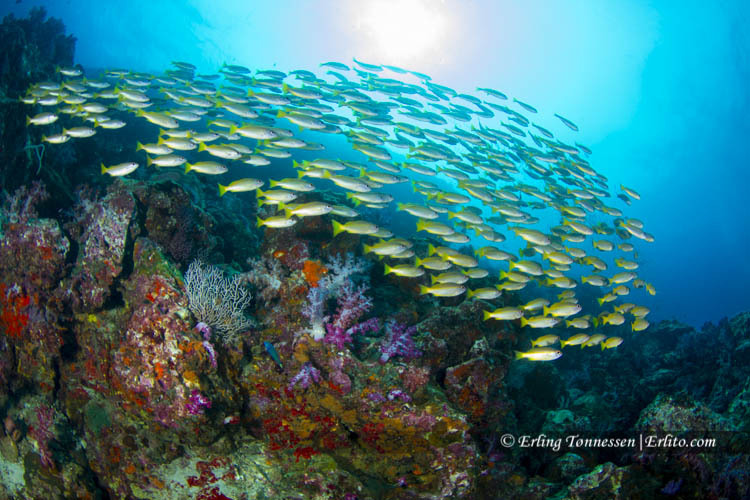 Diving in Ko Tachai can be challenging and this spot is better suited to experienced divers. We did two dives here. On the first one we encouter a BIG Manta, so most of the dive went by just looking at this beautiful creature who was flying back and forth playing with our bubbles. On our way back we where all expecting to see mantas, but not this time. 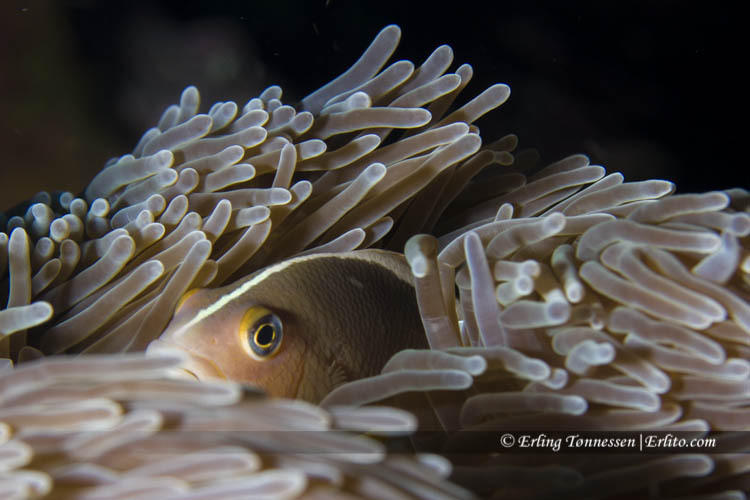 The Mantas were gone, but we got to see a lot more of the divesite. It is filled with corals ewerywhere, a big scools of barracudas, big rocks formed different canyons you could swim through. We ended the dive by swimming over to the next ridge. I didnt have enough air to explore it cause it was a pretty long swim carrying my camera. But it looked even more pristine than were we came from. Highly recommended dive site. PAK KAT BAY – We spent the first night here. Did a night dive in the bay. A steep hill with rocks and sand. A lot of macro life here. But a uncharged dive ligth mad my dive a short one. Managed to get some of the critters though. The end of my Liverboard trip. The wreck itself is in shallow water on sandy bottom. Broken up in several pieces it makes good protection for the small things. Visibility is not that good, so it makes a good place for macro photography. Many different nudibranches here. But also schools of smaller fish. You can also do some penetrations, but as on Koh Bon the place is packed with divers. Because it lies so near shore it is a popular “one dive” boat trip for the divers who just want to get wet. I can highly recommend doing the North trip Liveaboard. It is a little more advanced than the south trip. But it will take you to some beautiful dive sites.